Meet first time parents Jessica and German (aka "G" by the people who would embarrass themselves trying to properly pronounce his name--like yours truly). I finally got to meet these two after a couple of bad weather cancellations and we couldn't have asked for a better evening! Jessica looked STUNNING and G looked like he belonged on the pages of a high fashion magazine IN.EVERY.SINGLE.SHOT. He even knew what to do with his hands--men never know what to do with their hands in photos! It was impressive. The real star, though, was his gorgeous wife and that bump! Also, Kudos to her for bravely changing outfits deep in the woods surrounded by giant spiders--you would've seen a half naked pregnant lady simultaneously crying and streaking through the woods if that had been me! ;) These two are crazy about each other and you can see it in their photos and especially in the way G looks at Jessica. Swooning. Emma Lucia is the name of the little bun in the oven and she's guaranteed to fit right in with her photogenic parents! Congrats to these two and enjoy their session! 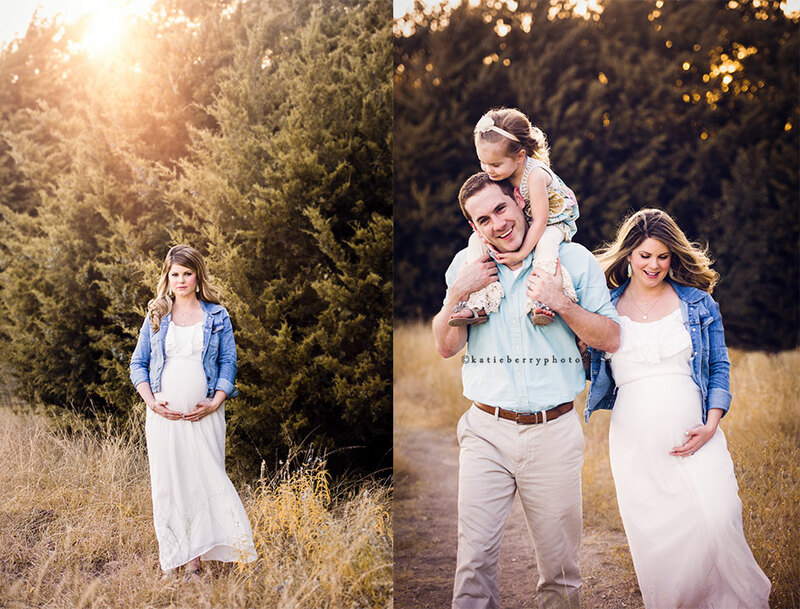 This maternity session was such a treat! Gorgeous Ashley chose the most beautiful outfit colors for this time of the year and it so adorably accentuated her perfect little baby bump AND the weather was beyond perfection for December in Texas--you never what you're going to get this time of year. So let's see... beautiful outfits? Check! Weather? Check! A stunning family? Check check check! He didn't fall for any of my tricks that make the little ones laugh--he was too smart! Luckily, I have yet to meet a child who won't accept a few skittles in return for some smiles and after an entire bag, he was as silly and playful as you'd expect! Once his dad pulled out the football, there was no stopping him! David and Ashley are expecting another little bundle of blue so it looks like this momma will be spending many a Saturday at a ball field! 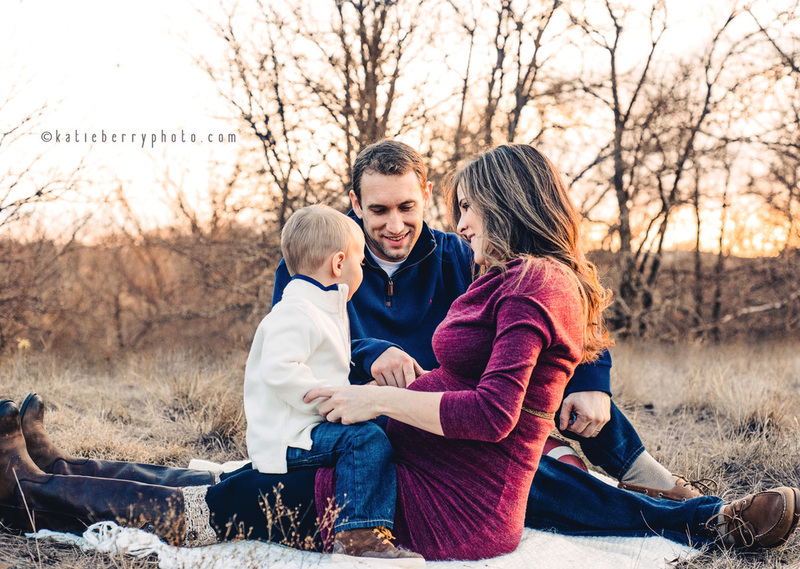 David, Ashley and big brother Landon are picture perfect, literally, so enjoy this featured session!